The hut is cosy when the open fire is going. 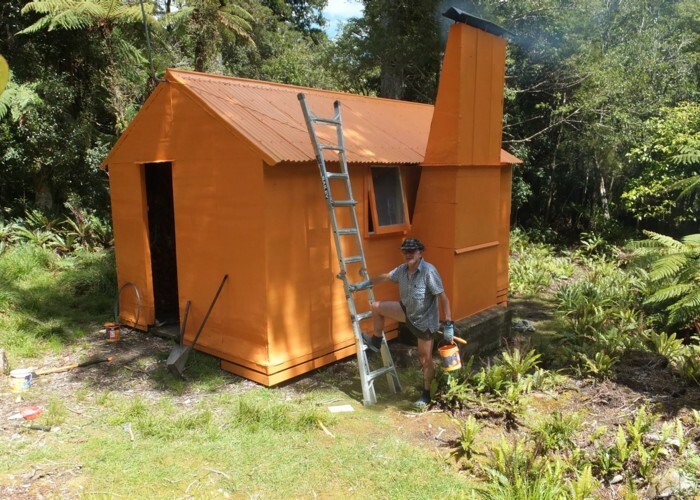 This hut has been recognized by DOC for retention in as representative of the original 6 bunk Forest Service S70 type huts established throughout the Tararua's to support the deer culling operations of the 60's to 80's. The exNZFS volunteer group have a management agreement with DOC to maintain this hut. Mid Waiohine hut November 2015 • By TararuaHunter. Licence: C.
From Aokaporangi bivy on the Main range, 2-3 hours. Added 12 January 2010 by bigpaulbigpaul. 3 revisions, most recently 26 July 2014 by TararuaHunterTararuaHunter.